You guessed it. This is a continuation of Music, when I was younger II . I still can remember the scene in which I bought my first CD. I was in Mexico city sometime in Nov/Dec 1996 when I was 12. I was at some dodgy mall and I heard a song played there as I passed by a music store. Guess what it was? Yep, Unbreak My Heart (i know you didn't guess it right). So I went in the store and asked for the CD to that song. I guess I must have spoken a lil bit of Mexican. Hehe. 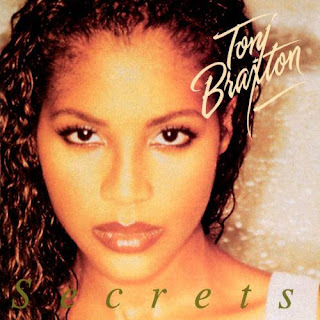 Toni Braxton's Secrets was just worth it and every day going to and back from school I would listen to the album in the car which I guess must have annoyed everyone else, but I was young and I just loved it. 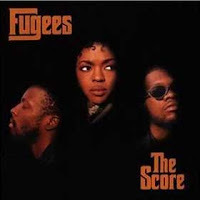 My second CD was Fugees' the Score and was also bought around the same time as Secrets. I bought it at the London airport when I was about to go back to Malaysia with our family after our holiday trip. I heard their rendition of Killing Me Softly prior to buying the CD. 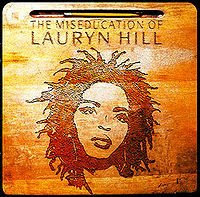 When I heard it for the first time, I found it really interesting and Lauryn's voice extremely soulful. I listened to the whole album all through the 18 hour flight. That was the album that made me fall in love with hip-hop. I loved the soul and reggae elements which were deeply infused in most of the tracks. They broke up soon after though. Two years later, Lauryn Hill's solo album, The Miseducation of Lauryn Hill came out and I was amazed with the her lyrical and musical talents. I loved every single song in the album even the hidden tracks. This album brought me to a new spiritual level. She's a great lyricist, rapper and singer. Her music and soulful voice are deeply heartfelt. Some of my favourite lyrics by Lauryn Hill from the abovementioned album. So what makes you think, that they won't lie to you"
And I made up my mind to find my own destiny"
Tried to play straight, how your whole style bent? See you might win some but you just lost one"
I hope you like them, because I have put a lot of effort into creating them.